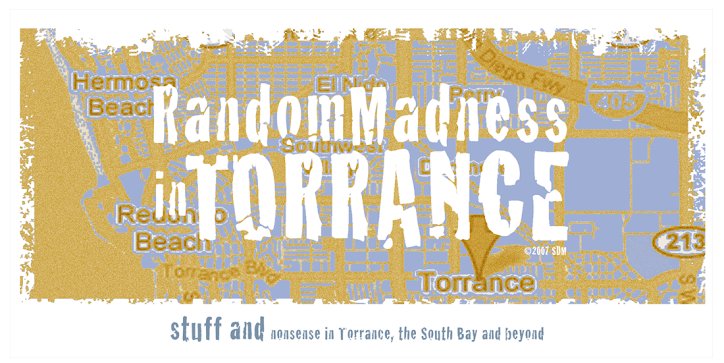 Random Madness in Torrance: Credit, check! Every year I get my credit file disclosure over the internet for free. Over the last several years, I've battled an identity thief who had opened up several business phone lines using my home phone number. I've spent several hours just straightening out that issue with the phone company and the reporting agencies. The thief used alternate addresses which were listed on my credit report as mine. In comparison to some horror stories I've heard, it's pretty small potatoes, but annoying anyway. This year has been the first year in many that there have been no issues whatsoever - no inaccuracies, no wrong information, and NO THEFT. 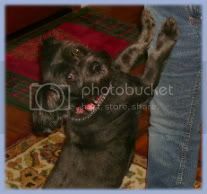 I use annualcreditreport.com to get my free credit disclosures/reports. This is a service started by Transunion, Experian and Equifax. There are dozens of other sites claiming to be free, but this site is really the only legitimate one that is authorized by the Federal Trade Commission - others will tack on a fee if you agree to a free report. Annualcreditreport.com is an easy, safe conduit to get through to each reporting agency. Although each separate company may try to get you to purchase extra features, you can easily get what you want without paying a dime. If you were to try to go through each of those companies separately, you'll spend a whole lotta time wading though their sites, trying to locate the FREE report. If you fear doing something like this online, you can call and order a report through the mail, and this service is also free. In a few months, my husband will request a set for himself, so we actually get two free sets of reports every year. If you've never done this, I highly recommend it - you'd be surprised to find how many inaccuracies can turn up on your credit report.